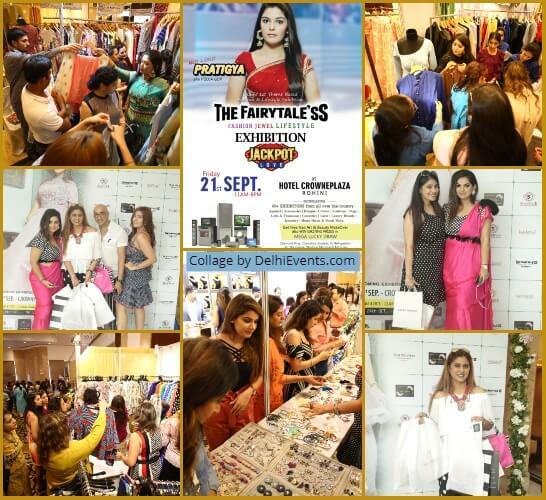 Event Descritpion : LIFESTYLE EXHIBITION : The Fairytale’ss presents "Jackpot Love" India's 1st Theme Based Fashion & Lifestyle Exhibition. Conceptualized by Nikita khattar arya and Amit Arya. There would be more than 60 exception brands from all over the country showcasing apparel, jewellery, handbags, footwear, cosmetic, home decor, trousseau and much more under one roof. Renowned television & web series actress Pooja Gor (popularly known as Pratigya) would be inaugurated this one-day extravaganza amongst much fanfare. Highlight of the event would be Mega Lucky Draws with prizes such as AC, Refrigerator, Diamond Ring, Cosmetics, Microwave, Apparel etc. Both Amit & Nikita Arya (CEO, The Fairytale'ss) bring the most innovative concepts so as to take the ideas and options closer to the people in a more real way - to see, feel, choose and buy the products and services that are seen, read and aspired for. Apart from the varied stalls, the overall decor will be based on Jackpot theme with big spin wheels created by Genie Events by Shruti Rathore, visitors can enjoy free nail art session from Nails n Lashes by Garimaa and Makeovers from luxurious Barbero Salons by Nikki Kapoor & free tarot sessions by Rashmi Miglani. The Fairytale’ss is a leading Event Management Company with specialization in concept based Corporate & Club Events, Wedding Planning & Exhibitions. The company turns vision into reality & meets everyone’s expectations. The strategic mission of the company is to “Create integrated experience between brands & their target audience”.